Amy America Hoover, yes my parents really named me Amy America AND I was born in the heartland of the country, Kansas. Coldwell Banker Sea Coast Advantage is a family owned company and I knew their values aligned with mine! I have a background with management and taking care of customers/clients has always been #1. As the girl from Kansas says, "There's no place like HOME!" Dealing with Amy Hoover as my realtor for both selling my previous home AND buying my new home has been an amazing process. She was recommended to me by a friend and while I was a little weary at first being she was based out of New Hanover County and I was in Brunswick County, that didn't matter AT ALL. She was familiar with the areas, knowledgeable, punctual, SO FRIENDLY, and so helpful. She was always there responding to my messages and concerns, day and night. I would recommend Amy and her team to anyone whether they are buying or selling, first time homeowners or retirees. I promise you will not be disappointed in Amy Hoover as your Realtor!! I was convinced I wanted new construction. It was 7:30 am on a Friday morning. I saw several properties that weren't new builds and promised my brother (who was my sounding board during this process) I would look at something other than new construction. I sent a request and with in minutes I had a text and a phone call. Amy America Hoover could not have made this process any more memorable and with such ease. From the moment meeting her to the late night texts she answered all my questions. She remembered to follow up on things even I had forgotten. This was no small feat. I was 2 hours away during the entire process. She went in the attic and the crawl spaces. I truely felt as if she was looking at this home for a family member. Her honestly, caring, concern are by no means overshadowed by her drive,professionalism, tenacity. Her attention to every single detail is second to none. I will never use another agent and only wish everyone could have such an amazing experience as I did. Amy has assisted my husband and myself several times over the last year that we have known her. I contacted her after seeing some properties on Zillow that I was interested in. As we are out of town I contacted her kind of on the fly when we were in NC last summer. Not only was she extremely accommodating but she had all of this good paperwork available for each location she showed us. We got to know each other very well during that short time spent together and I then contacted her several months later to assist us in selling a townhouse we owned in Wilmington NC. Again she was right on top of the market and with her diligence we successfully closed just a few weeks ago. I would recommend Amy Hoover in a heart beat. She is a lovely person as well as a very competent Real Estate professional. I stumbled upon Amy when looking for a condo for my girls in the Wilmington area. Not only did she assist us in finding the right place in that area, she became a blessing to our family as she worked with our daughter in locating just the right place in the right section of town. She listened to our needs and was interested in what we wanted, she never pushed us into something just to get the sale. Amy gave good advice and seemed to truly care that we found what we needed. I always felt comfortable working with Amy and knew she had our best interest at heart. We would recommend her to anyone looking in the Wilmington area with good conscience knowing she will do a great job helping you find just the right home, according to your standards. All around incredible agent. She was knowledgeable, quick to respond, honest, and just pleasant to work with. I always felt that she had a plan in place, and when something came up she was able to work around it very quickly. I would recommend her to anyone as an agent. My wife and I were looking to relocate in the Wilmington area. It was quite a long process, close to 10 months, and Amy was there all the way. She never once got discouraged with this length of time to find the right home. Amy also did a lot of the local legwork which made the whole process less stressful for us. We appreciated that she made herself available anytime we were coming to town to look at prospective property. Amy was wonderful to work with and I highly recommend her. Amy was absolutely incredible. My husband and I use Amy as our buyer's agent throughout the process of purchasing our first home. Through this process we ran into several obstacles -- our wedding, monetary issues, approval processes, difficult sellers, etc. Not only did Amy navigate these issues with ease, but she made sure we were knowledgable and kept up to date on the process. Amy was always readily available to answer questions, book showings, or contact people that seemed hard to reach. I would recommend Amy to absolutely anyone looking to buy or sell a home in the Wilmington area. She's a pro, and she makes it look easy. Thank you for everything, Amy!! Amy was wonderful. She was there for us every step of the way. Very knowledgeable and very kind also. I would highly recommend her to anyone. I don't know how I could have done it without Amy's help. Going through all the paper work and home showings I was able to find my dream home with Amy's help. She guided me through the entire process from start to finish. I never felt overwhelmed or stressed with Amy's help. She never pressured me into anything and let me go at my own pace. Amy even came up with the idea to write a letter to the home owner with our offer that eventually led to us winning the bid for our dream home. Amy was available day and night to answer any of my questions through the entire home buying process. The thing that stuck out most about Amy is she made me feel like a friend and not a client. To say Amy is great real estate agent is an understatement in that she goes above and beyond to help you purchase your dream home. My experience with Amy was awesome to say the least. This was my first time home buying experience and it went as smooth as possible. Amy was so easy to get in touch with, I called her at all different hours due to my changing schedule and she would get back to me within a few minutes if she did not answer right then. She worked very quickly with me as the house that I bought was on the market for only six days and we needed to get an offer in as soon as possible. Amy instructed me on pointers of how to increase my chances of the sellers choosing me among the many offers that were submitted and of course she was spot on with all of her advice. She met me at the house which was a good 40 minutes outside of Wilmington whenever it was necessary and she was always on time. Her inside knowledge of the buying process helped as well as she could answer some questions that other agents would not normally be able to answer. I chose Amy over other buying agents including close family friends of mine because I could tell she was much more enthusiastic, knowledgeable and professional than others that I had spoke with. She also had great recommendations on repairmen, electricians, mortgage agents, and any other professionals that I needed to close on the house. There was a short amount of time to get work done to close on my home and she helped me tremendously to find the right people for the jobs that were needed in very short notice. Lastly, Amy helped me negotiate quite a bit with the price of my home and what to ask for when closing to maximize what I was getting with my purchase. I could not have asked for a better agent to work with and would recommend Amy to anyone buying or selling a house, whether it is the first time or not. Thanks Amy for everything that you did to make my purchase possible and I will definitely use you in the future. I used Amy to list my home. I had started with another realtor, but did not feel the confidence in her I felt I should, so I decided to make a change. I very much enjoyed working with Amy. She, along with Rob Warwick, was so helpful and they kept me at ease throughout the home selling process. They were very professional, yet friendly and easy to work with. I would not hesitate to use them again, and I highly recommend them. As a military spouse and former real estate agent myself, I can say without question that Amy is the best I've ever worked with. She responded immediately to every email, text and phone call. I chose to have a house built and she became my liaison with the builder, the mortgage company, and everyone else involved. Amy accompanied me to design appointments and I trusted her to give me her honest opinion of my selections. Bonus - I feel like I made my first new friend in a new town! Amy did a great helping our company purchase a beach front rental property in Topsail Island, NC. She drove a good distance often to check on the property and went above and beyond to make sure all our questions were answered quickly. The sale went through easily and we had no unexpected issues as a result of her efforts. I highly recommend Amy and would ask her to help us in the future without hesitation. Amy Hoover was a pleasure to work with! Her knowledge of Wilmington and the surrounding area helped us make the best decision for a home for our son, who will be attending school in Wilmington. This was our first experience in having to purchase a home from out-of-town. I always rely heavily on the internet for any research so when Amy reached out to me after filling out an online interest form, I was kind of skeptical. I like to have all my details sorted out and THEN call the professionals to help me complete the process. However, Amy reached out early in the process in a non-pushy way. After our initial phone conversation, where she gathered details about our needs, I did not give it much thought. Roughly a week later, I received a text from Amy--a video of a home she thought held potential. This text prompted me to make additional inquiries and each time she would visit the property and send me a short video of her walk through of the homes. After a couple of weeks of this, my family and I visited Wilmington to visit some prospective homes. We ultimately placed a bid on a foreclosure. When the bank came back to the bidding parties, Amy helped us to not get "emotional" in the bidding process so we would not end up overpaying. We lost the bid but we did not end up overpaying so it was win for us. The following week, I revisited Wilmington to view a home that had been recently listed. Amy helped me put together and negotiate a competitive offer using comp sales and staying in line with our budget. Amy helped us negotiate a quick close and needed repairs, following the home inspection. She met us at the home during the home inspection in case we had any questions when we received the report, as well as to give her the necessary information as she negotiated repairs. Amy continues to provide quality service after closing. When a necessary dishwasher replacement could not be installed prior to closing, Amy graciously offered to meet the repairmen, so that it would be in place for my son when he moves in after the holidays. It's a hard decision to find a new home for our college-aged student, as it is his first time on his own. We were looking for a home within a close proximity to UNCW, Cape Fear Community College, and the beach. However, our first priority was his safety. Throughout the process, Amy would say "I would let my child live here" or "This may not be the best place for an eighteen year old to live." We valued her opinion and appreciated her honesty throughout the process. 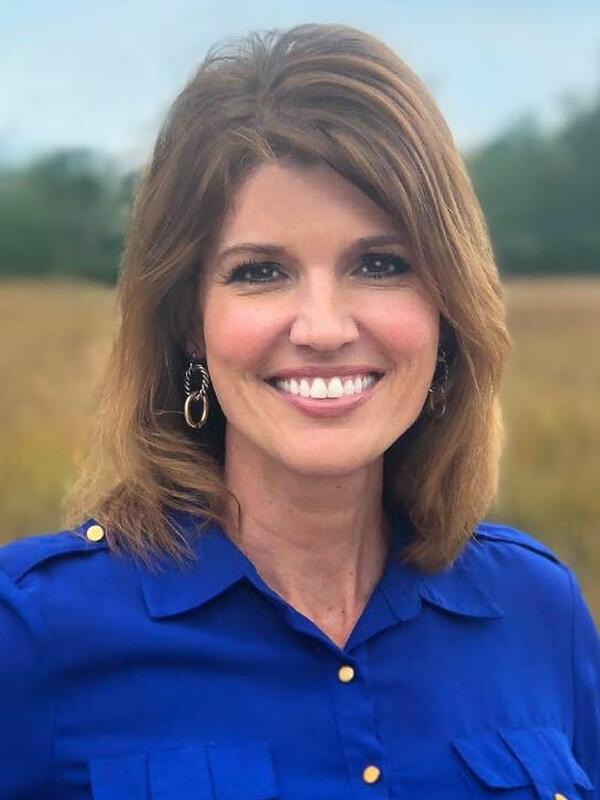 I would recommend Amy to all my friends and as my husband and I hope to ultimately move to the Wilmington area, we definitely plan to use Amy Hoover again. Amy is Very professional and great to work with she is a team player and an excellent advisor. I have been working before with real estate agent and felt that Amy go above and beyond to help with any situation. She is very honest and pleasant. Buying a house can be very stressful but dealing with Amy was very easy and smooth. Any problem I had she salve it very quickly and always explain every step very thoroughly . I highly recommend Amy you would not be disappointed. I found Amy by accident while looking for a home. She was holding an open house in a neighborhood that we were interested in living. Amy was by far the best realtor that I have ever had the pleasure of working with; this was my 6th purchase, so I'm no stranger to the house buying experience. She is friendly, honest, knowledgable, and super responsive. If by chance she didn't know the answer to my many questions, she didn't hesitate to find the answer for me. By the time we closed, which was very quick, by the way, I felt like I had gained a new friend. We have already invited her and her husband to stop by and celebrate once we are settled. Stopping in to that open house was the best decision I could have made. If you are in need of a realtor, you won't be disappointed with Amy Hoover, she is wonderful. Amy was a the perfect realtor for me! As a first time home buyer, she showed me the ins and outs of everything I needed to know. She found me the perfect home and I couldn't have been happier with everything she did for me! Very professional and organized. Amy gathered pertinent information for the properties to make an informed decision. A water view is important and she monitored the current active listing to share the most up to date information.